Alan Alexander Milne, born on January 18, 1882, was an English author, best known for his books about the teddy bear Winnie-the-Pooh and for various children’s poems. Milne was a noted writer, primarily as a playwright, before the huge success of Pooh overshadowed all his previous work. 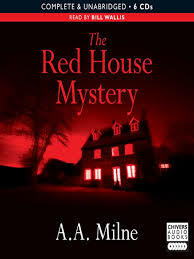 The Red House Mystery is a “locked room” whodunnit by A. A. Milne, published in 1922. It was Milne’s only mystery novel. The setting is an English country house, where Mark Ablett has been entertaining a house party consisting of a widow and her marriageable daughter, a retired major, a willful actress, and Bill Beverley, a young man about town. Mark’s long-lost brother Robert, the black sheep of the family, arrives from Australia and shortly thereafter is found dead, shot through the head. Mark Ablett has disappeared, so Tony Gillingham, a stranger who has just arrived to call on his friend Bill, decides to investigate. Gillingham plays Sherlock Holmes to his younger counterpart’s Doctor Watson; they progress almost playfully through the novel while the clues mount up and the theories abound. In his introduction to the 1926 UK edition, A. 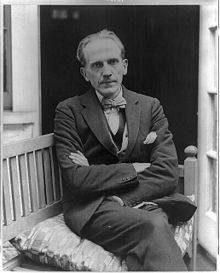 A. Milne said he had “a passion” for detective stories, having “all sorts of curious preferences” about them: though in real life the best detectives and criminals are professionals, Milne demanded that the detective be an unscientific amateur, accompanied by a likeable Watson, rubbing shoulders with an amateur villain against whom dossiers and fingerprints are of no avail. Chandler noted that The Red House Mystery seemed to have been in print in the US for about 16 years. “That happens to few books of any kind.” By 1948 there had been 23 editions published in the UK. The most recent UK reprints were the Vintage Classics hardback in November 2008 and paperback in August 2009.